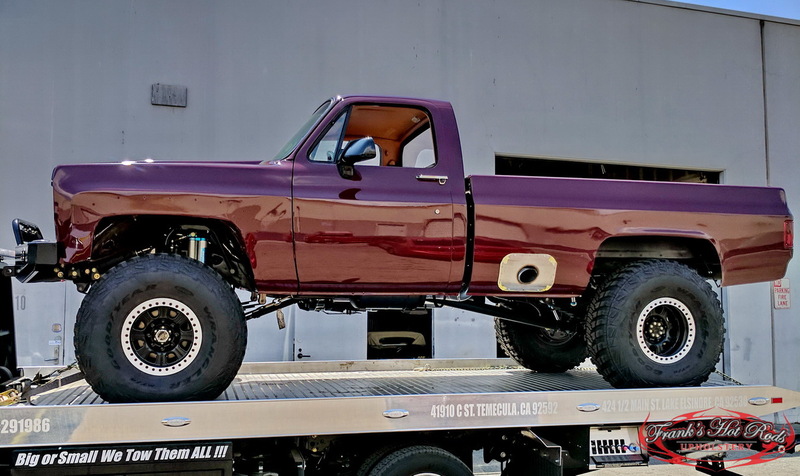 This awesome 77 Custom Chevy with a 454 propane powered engine…yes, propane powered engine, was brought into our shop for a full custom upholstery job. 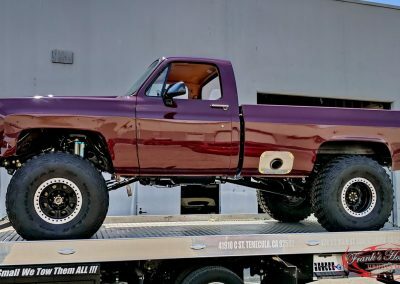 The build was done by Motech performance in Murrieta. 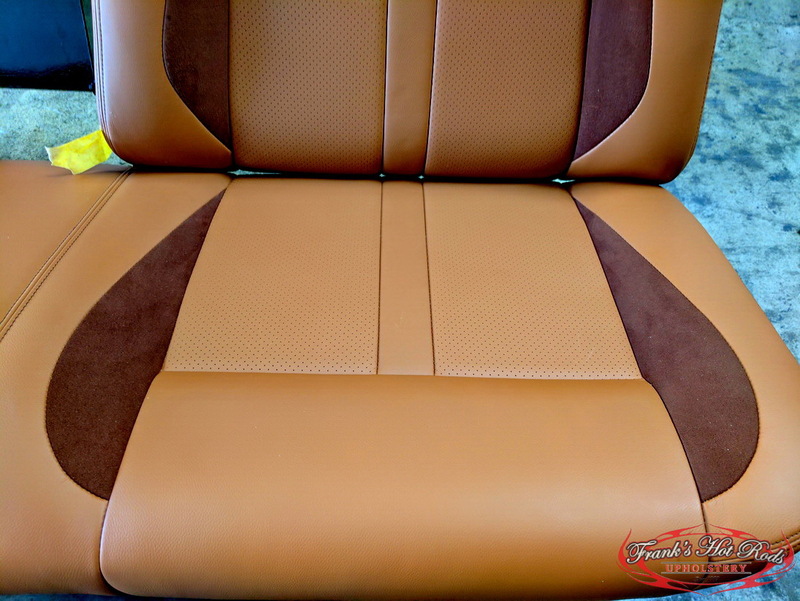 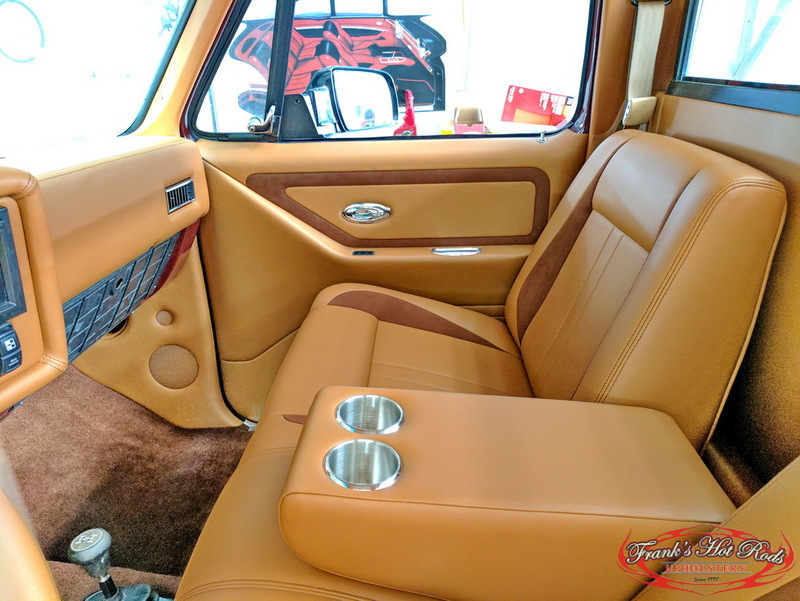 This beast of a truck was done in leather with beautiful suede accents and perforated leather inserts. 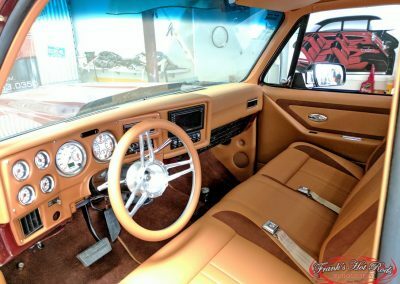 The stock dash was modified to accommodate the in-dash and the switches for exterior led light bars. 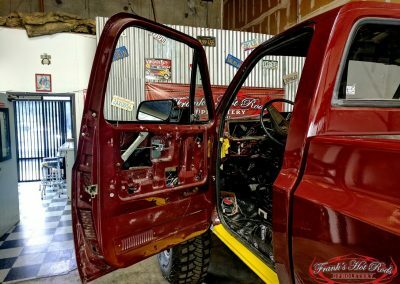 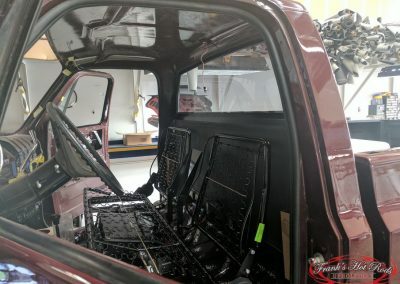 The doors were completely custom to include switches for power windows and power mirrors, billet door pulls and aftermarket door handles. Billet cup holders were included in the fold-down armrest of the bench seat. 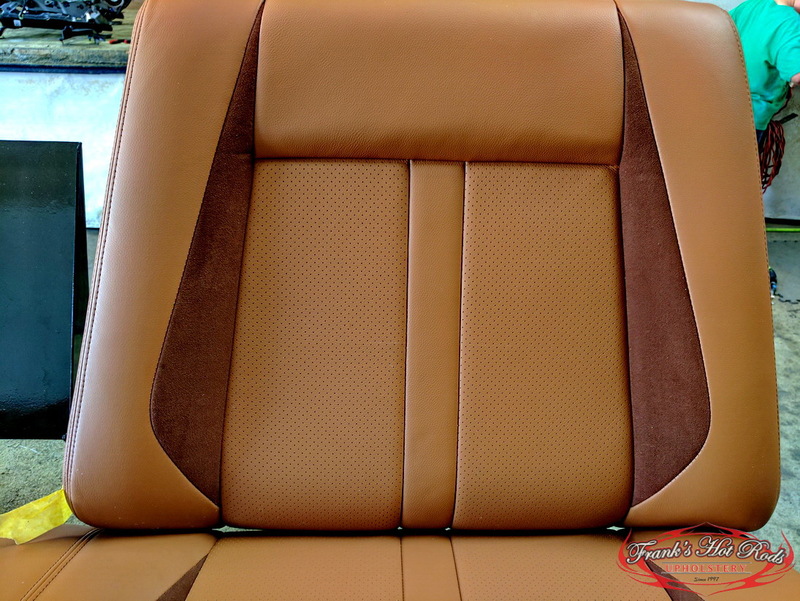 We also added custom kick panels to accommodate component speakers. 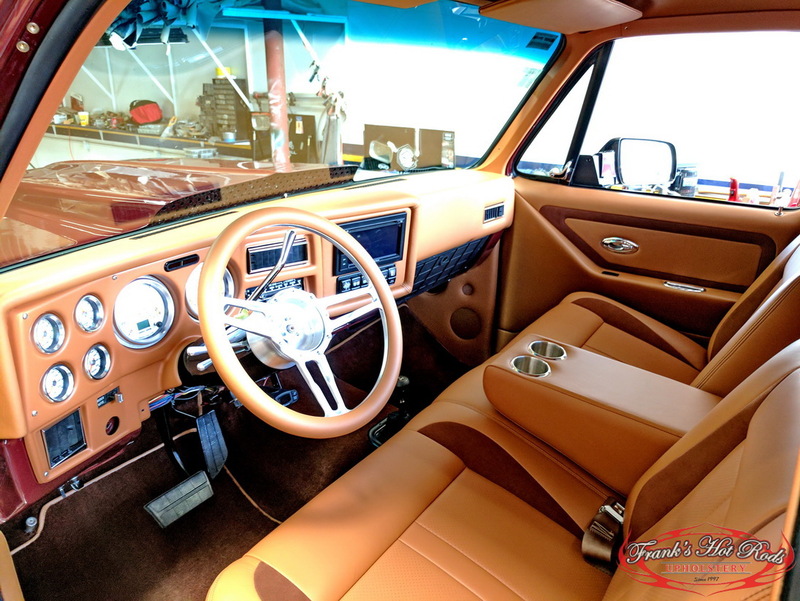 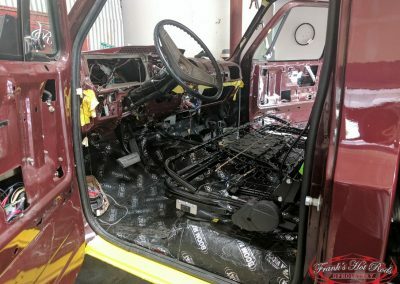 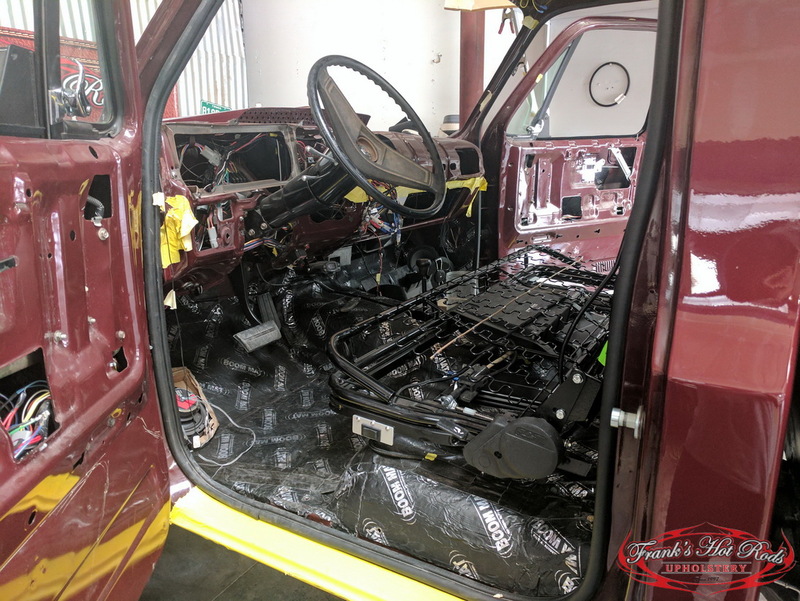 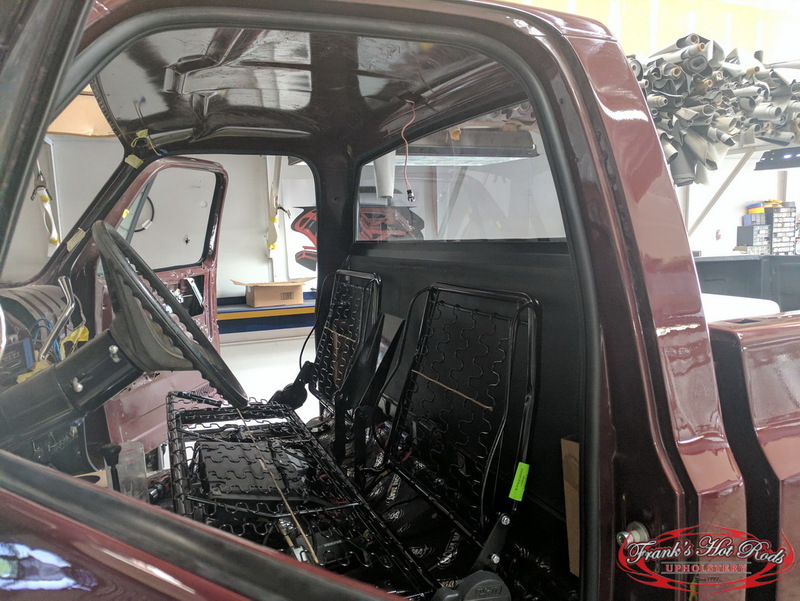 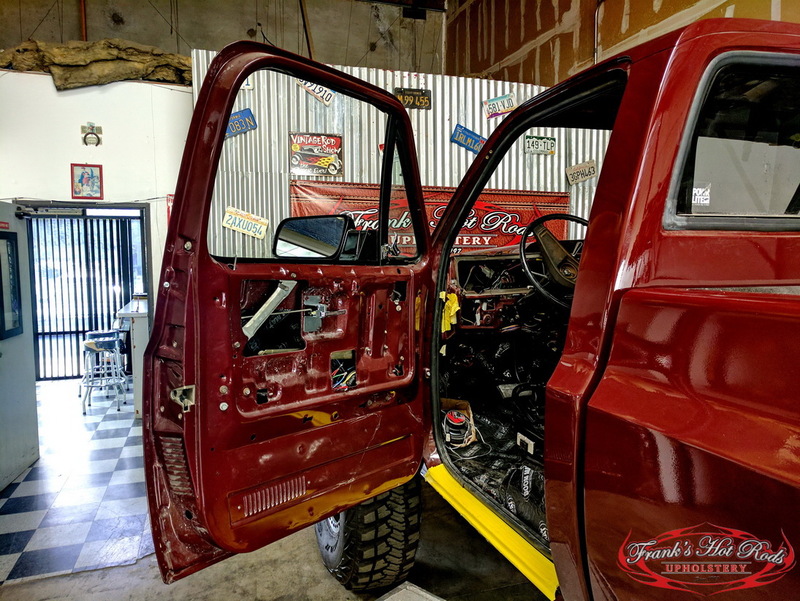 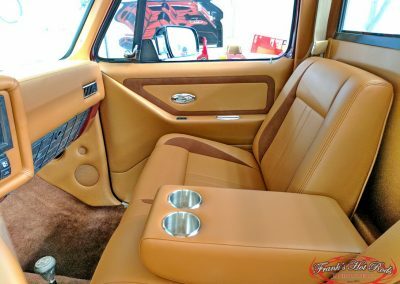 We successfully brought this lifted truck to it’s full potential with a custom interior, and Frank’s Hot Rods Upholstery can do the same for you!